A few years back, I wrote a post on indoor training tools / apps which I had used or intended to investigate further. Disclaimer: this post may, like the previous one, get reviewed or updated every now and then. The reviewed tools / platforms also frequently get updates or added features. As a result, I cannot guarantee that features or prices mentioned here are still accurate at the time you read this post. First, I realized that I only mentioned the Sufferfest in one of the revisions, but the original post had no entry on Sufferlandria at all. This was probably due to my voluntary exile out of Sufferlandria, but in hindsight, I think it was unfair to leave them out altogether. For as long as I can actually do them daily, I will put up a short post race report on all stages of the 2014 Tour of Sufferlandria. 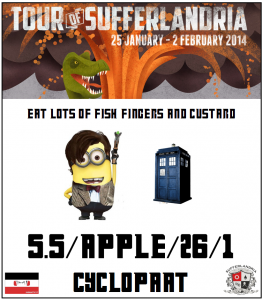 Last modified: February 1, 2014 – my second Tour of Sufferlandria is done! There is a reason I have avoided Violator and today confirmed I was right in doing so. Many people seem to like it, probably (mainly) because of the 64 recovery intervals. However, as I suspected, this doesn’t apply to me – maybe if I’m well rested I can do a better job of following the line, but not today. 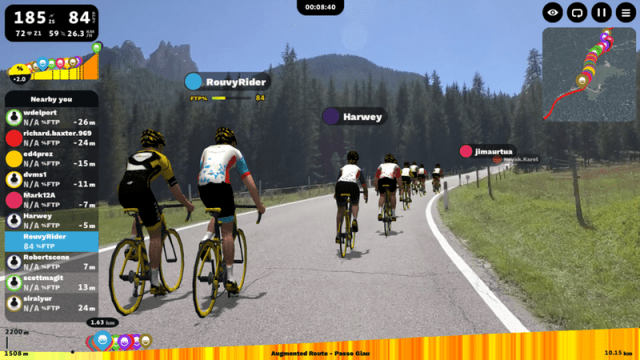 I just kept on pushing during the 5 second intervals, because there simply is no way I can accelerate and slow down between 30+ and 60+ kph repeatedly during that time frame.